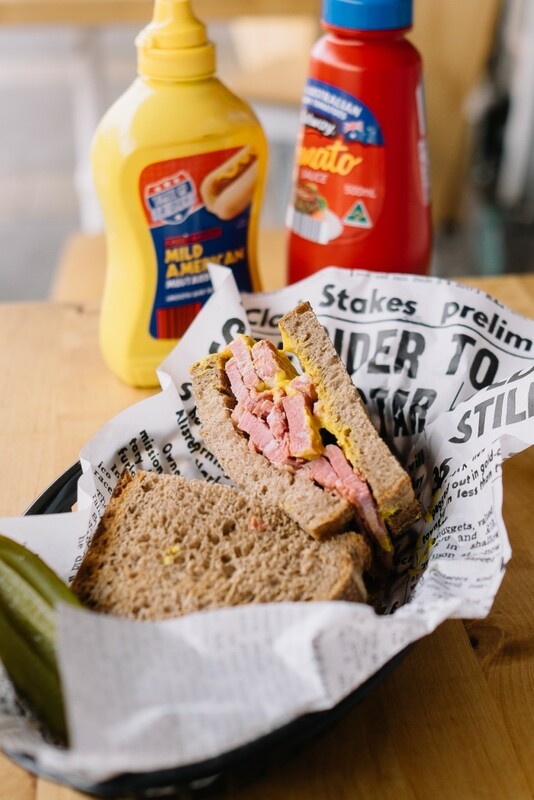 In an attempt to cure our cravings for a pastrami sandwich after our New York trip, we looked into what Sydney had to offer. 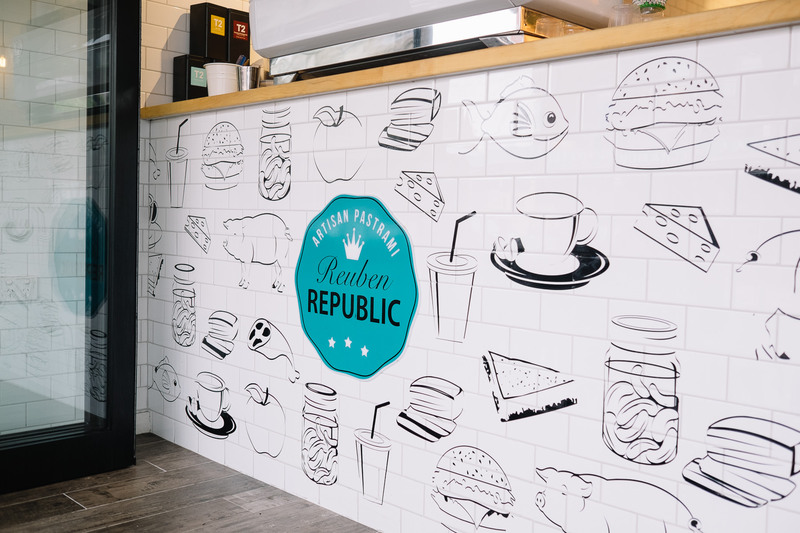 Reuben Republic in Marrickville is one of the very few places that we knew of that serves pastrami sandwiches. We’ve always gone to Marrickville for our Pho-fix (from PhD!) so it was exciting sampling food from the other side of the “Viet-strip”. Love the clean look with the white subway tiles matched with wood! 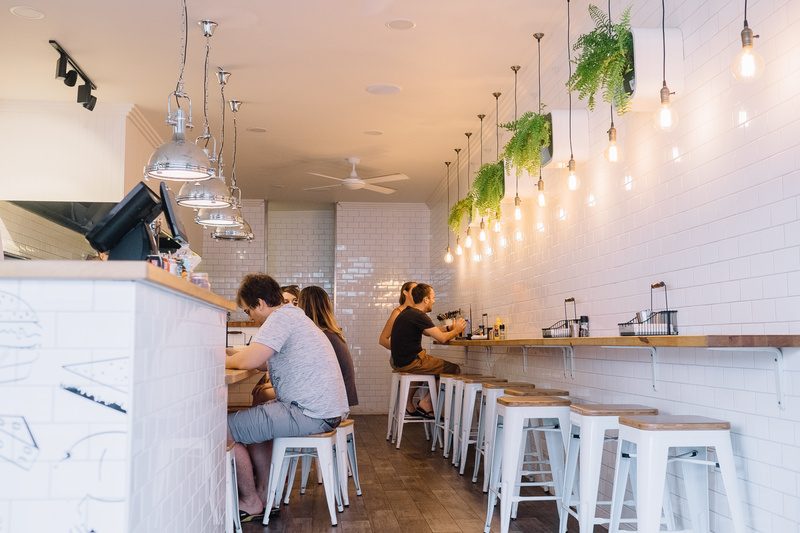 Their menu was made up of burgers, hot dogs, bagels, sandwiches… we immediately spotted the 3 sandwiches that had pastrami in it; East Coast Reuben, West Coast Reuben, Classic Reuben. There were only 2 of us so we had to decide to try 2 out of the 3. The west coast reuben we found was thicker, so not as easy to bite in and felt drier overall. Perhaps it could do with more dressing and/or less coleslaw. The tang of the Russian dressing helped made it more appetising though. We loved the classic reuben more just because it was what we were after; just pastrami, a slab of mustard between bread! We wished for the pastrami to be more tender of course but we had to remember not to expect it to be like Katz Deli’s sink-into-your-teeth pastrami sandwich which has been perfected over 100+ yrs. 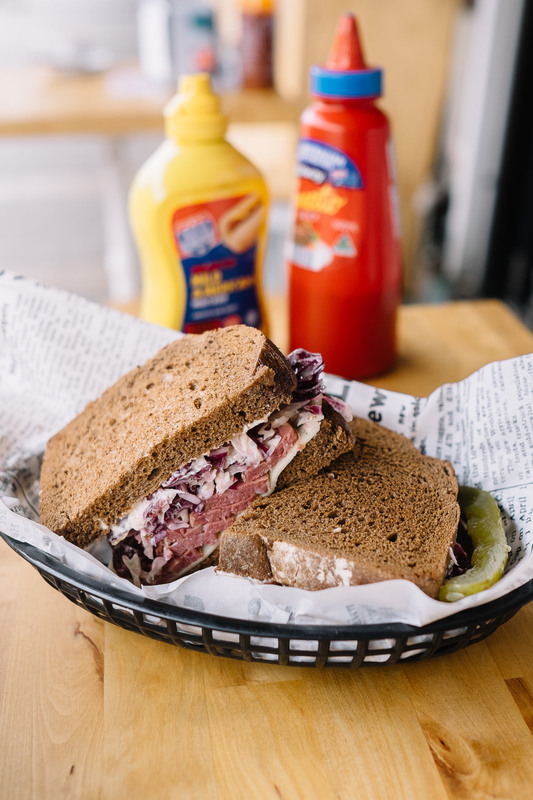 We will gladly go back to Reuben Republic for the classic reuben and perhaps try out the rest of the menu when we’re missing New York again!